The Midwest is often overlooked when people are looking for destinations to travel within the United States. However, there is plenty of beauty to behold in the central plains, the rushing rivers, and though they aren’t the Rockies, there are smaller mountain ranges that are equally as charming. The people are friendly, each season is varying in color and temperature, and there are many styles of pizza to choose from – one thing we love for sure! See why many people are claiming that the “Midwest is best” after visiting these budget-friendly Midwest road trips that you can travel to for under $150/day! Jamestown is a great place to stop in North Dakota while on one of your Midwest road trips because everyone is incredibly friendly and the town isn’t too big. The town is also very safe to visit. In fact, in the winter, local’s frequently leave their cars running while they shop in Walmart! 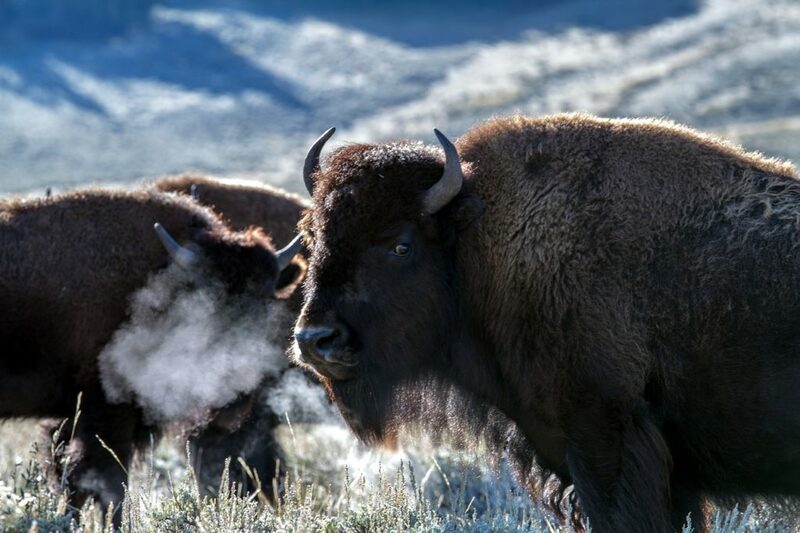 Ever seen the world’s largest buffalo? How about an albino buffalo? Jamestown has both. The National Buffalo Museum takes about an hour to go through and costs only $8 for each adult. The World’s Largest Buffalo Statue is located here and is free to visit. In order to get to the World’s Largest Buffalo Statue, you have to walk through an old-timey western village called Frontier Village. Admission to the village is free, but there are plenty of cute little shops housed in the buildings for you to spend your money on. Fort Seward is another place to visit while in Jamestown. This site was an active military fort from 1872-1877. The site is well kept and used to display artifacts dug up during archaeological digs in the area. Admission to the fort is free. Stop in on Thursday at The Depot for their legendary (in Jamestown at least) Kneophla Soup. Kneophla (pronounced like neff-lah) is a regional dumpling style soup that is really unique and really delicious! The Depot is a great place for lunch where you can expect to spend about $7 on food and drinks. If you are looking for good Mexican food in North Dakota, look no further than La Carreta. I remember way back when they opened and everyone in town raved about how delicious the food was. They even have their first profitable dollar hung on the wall. I recommend going here for dinner and getting the Nachos Fajita. You can expect to spend about $15 on food and drinks here. At the Holiday Inn Express in Jamestown, you can expect to spend about $100 for one night. But they have a great breakfast included in that price so you can save money on one meal for the day. Winona, nestled between the bluffs in the Driftless area is one of Minnesota’s most photogenic cities. This city is great for a number of reasons. First and foremost is the natural beauty of being in the Mississippi River valley. The rest comes down to its vibe and culture. Winona started as an old logging city and has maintained a beautiful downtown area. Plus, it’s home to old, original businesses like high-end home product manufacturer Watkins and everyone’s favorite bakery, Bloedows (voted best donuts in Minnesota). I’d be remiss if I didn’t recommend the Minnesota Marine Art Museum ($8 – student and kid discount). It houses Washington Crossing the Delaware – yes, the original. It bought it from the White House. When it comes to things to do, Winona excels, especially in the free outdoor activities. 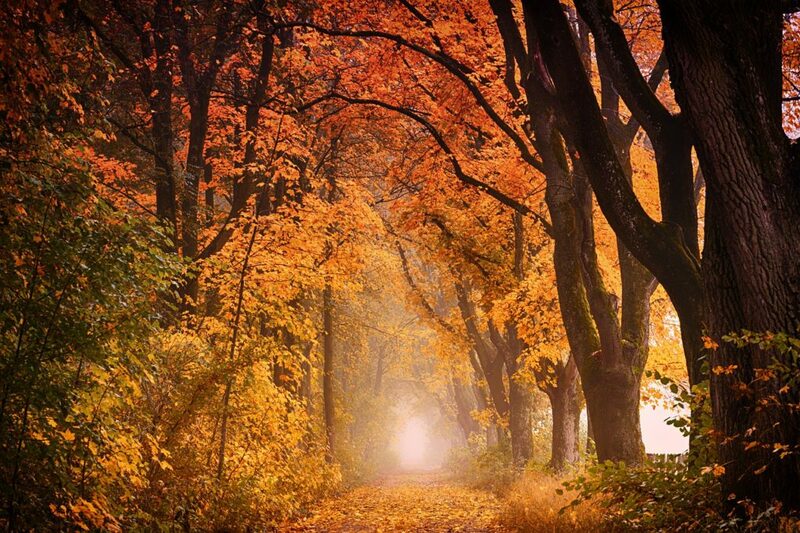 Holzinger’s Lodge has plenty of trails to keep you busy. And if you finish those you can hike the trails at St. Mary’s (or ski them if you visit in winter). You can relax on sandy beaches (we call them sandbars), mountain bike the hills, or just drive through the valleys. For food, check out Bloomingrounds ($8-10)if you’re looking for a sandwich/cafe vibe. If you’re looking for something a little fancier, you can’t go wrong with The Grill ($12-15). And for a good burger and the best Bloody Mary in town, stop by Betty Jos ($10-12). If you’re feeling especially adventurous, Winona has tons of townie bars you can visit – they’re all super friendly. 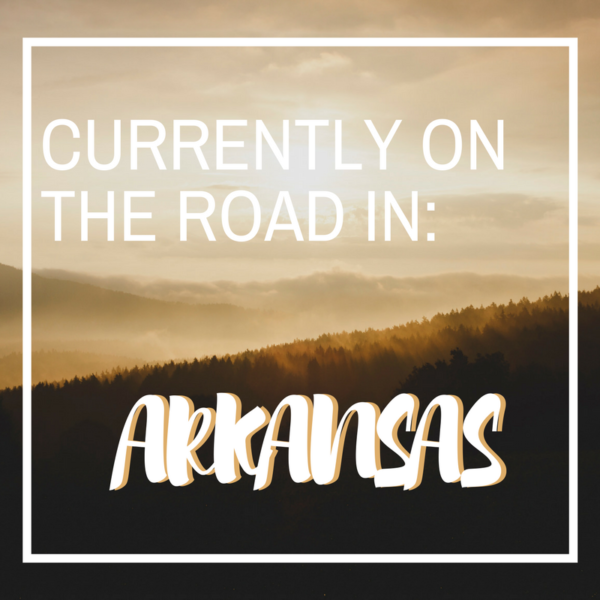 For budget-friendly accommodations, you can check out their offerings on Airbnb (varies $50 – 100) or book with Super 8 ($50) at the edge of town. 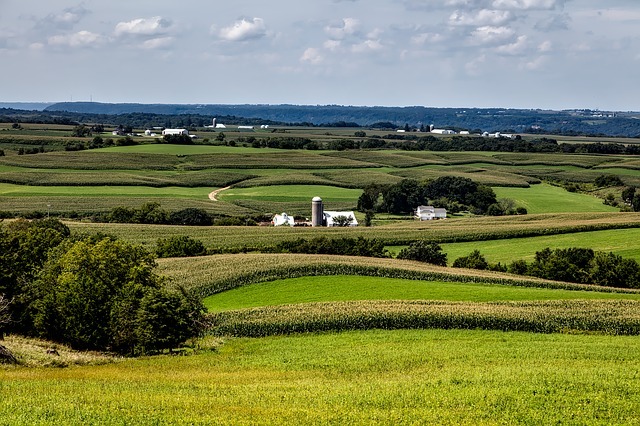 When most travelers think about Iowa their immediate thought is cornfields – miles and miles of cornfields. Des Moines is truly a city unlike most. 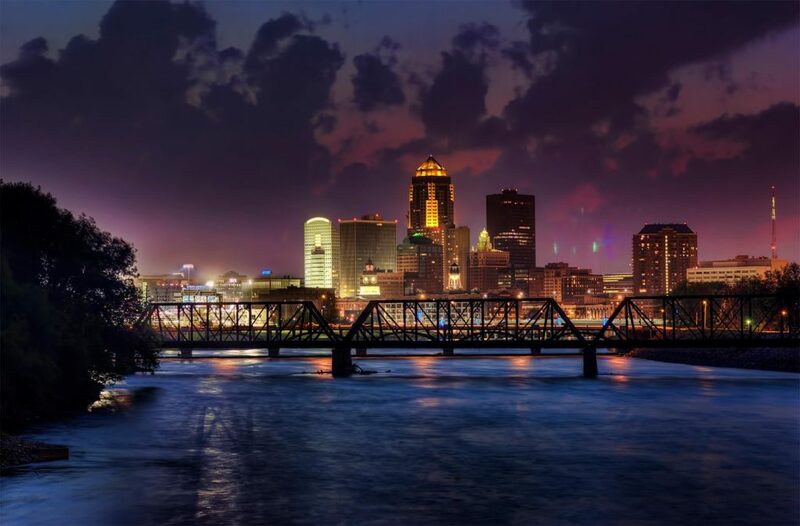 In Downtown Des Moines, you’ll find small-town charm mixed with big city vibes, the friendliest people, and tons of unique cultural experiences on this stop during your Midwest road trip. Kick-off your time in Des Moines by heading downtown to the Pappajohn Sculpture Park. In this 4.4 acre park, you’ll find the works of many world-renowned artists that you can view for free! But what’s more is the gorgeous skyline view you can see of Downtown Des Moines. Stop by the nearby Hyvee grocery store and grab some food for a picnic and enjoy mild summer weather or take a stroll down the snowy sidewalk with a hot cocoa. Also in Downtown Des Moines, you’ll find one of the best farmer’s markets in the area every Saturday morning. The market offers a variety of locally grown produce, fresh cut Iowa chops, live music and many arts and crafts. Visiting the market is free to attend but you may have to pay $5-10 for parking in one of the nearby garages. At the Science Center of Iowa, you can live like a kid again and explore the many mysteries of science and technology. Something else that makes this spot so special is the six-story IMAX dome theater that often shows a few popular movies and documentaries. For only $18/adult and $14/child you can experience both the science center and the IMAX theater. Inspired by the Asian decor at the once-thriving Chinese restaurant, the newly found owners decided to stay true to the roots and open up Fong’s Pizza where you can try Asian-inspired pizza and appetizers. The 10″ Crab Rangoon pizza is perfect to split with another person for only $13.99! Another quirky place to dine is the popular Zombie Burger + Shake Lab. The entire menu is based on zombie-esque names like The Walking Ched which is a burger with fried mac & cheese for buns! Not a fan of beef? Have no fear, Zombie Burger has many different options for those who aren’t a fan of burgers including two vegan/vegetarian options. Most menu items range from $6-10 so it’s easily a meal for those on a budget! We recommend staying nearby in West Des Moines in order to find a nicer place to stay that is within the budget. The Sleep Inn & Suites is near the main shopping and dining areas in West Des Moines and is only a short 10-15 minute drive from many downtown locations. 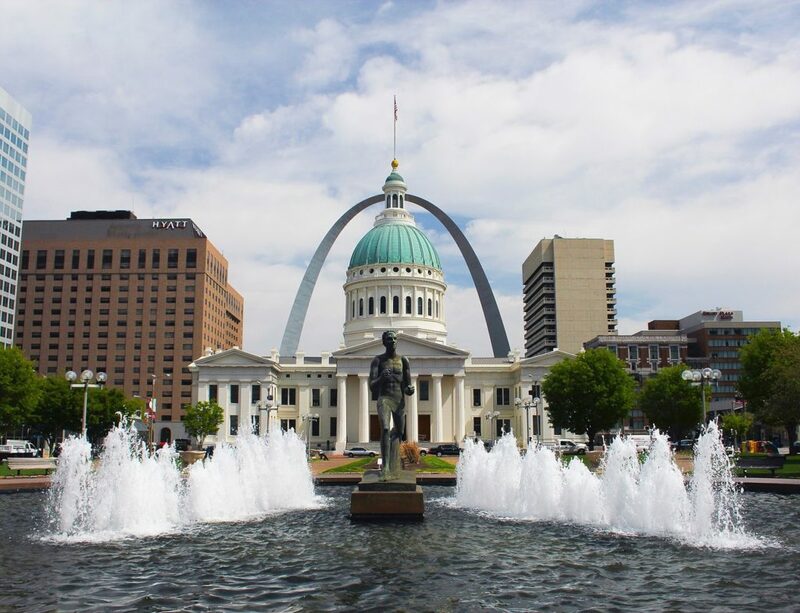 St. Louis, Missouri has often received a bad reputation for its high crime rate and Missouri was most recently named as one of the places NOT to visit in 2018 by Fodors. However, there is more to St. Louis than what you hear in the news and is perfect for those who are interested in a variety of free activities, local breweries, and historical and outdoor fun. The St. Louis Zoo is one of the most popular attractions in St. Louis. It has over 18,000 animals from 700 different species and sits on 90 acres of land within the beautiful Forest Park. Best of all? It’s free to visit! Park for free over by Turtle Park and walk over to the zoo or you can pay $10 to park in the zoo’s parking lot. The Missouri Botanical Gardens is another stunning spot to visit in St. Louis. The gardens host a variety of exhibits and festivals year-round that often celebrate different cultures. In the summer admission to the gardens is free on Wednesday for their jazz festivals or you can pay $8/adult to view the gardens at any time. 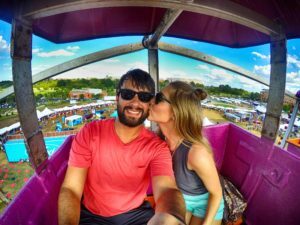 Many of the specialty festivals are a bit more in cost, but are very fun to attend! The Japanese Festival that is hosted over Labor Day weekend has many different cultural classes, plays, cosplay fashion shows, and food stands. In the winter you can enjoy the Garden Glow and sip on a peppermint hot cocoa as you view the thousands of lights in the gardens. If you’re a fan of beer you must go on the Anheuser-Busch Brewery Tour. On this complimentary 45-minute tour you will learn the 7-step brewing process that goes into Budweiser beer and see the Budweiser Clydesdales at the historic stables built in 1885. While you’re in the area, you can’t miss a visit to the Gateway Arch the views at the top are unbeatable but the ticket is $13/person to ride up. You can view the Gateway Arch for free by simply driving over to the park. Memphis and Kansas City may be known for their Barbecue but if you put them together they make St. Louis style BBQ! You’ll drool at the menu options at Sugarfire Smokehouse with its tender brisket, pulled pork, roasted turkey and unique twist of BBQ sauces (there is even one with a coffee in it!). The rotating menu of sides offered at Sugarfire are also something to rave about. Meals at Sugarfire range from $5-15 each. Another fun place to visit is the casual yet eclectic Mission Taco Joint which has bangin’ street corn, excellent margaritas, and ala carte tacos start at $3.25 each. There are a few vegetarian options too! If you’ve worked up an appetite we suggest Sauce on the Side a well-known calzone restaurant that has a serious variety and a create-your-own calzone option as well. All ‘zones are $9-10 and are easily split (or not if you’re starving!). Feeling extra adventurous? We recommend splurging for a dessert calzone too, it will rock your work! 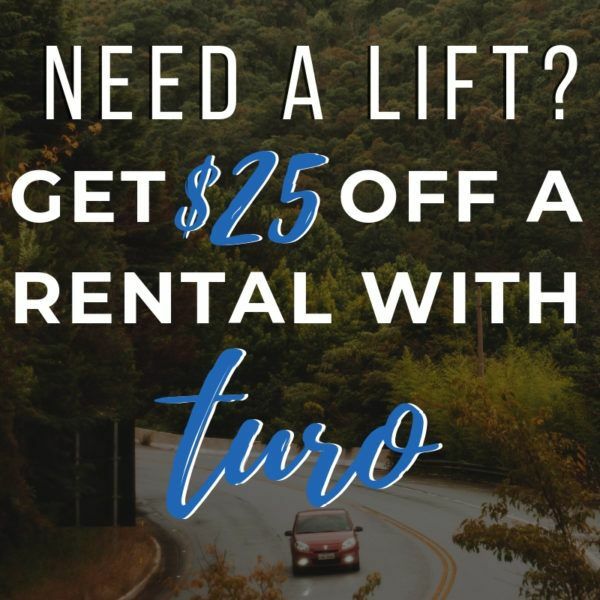 Since accommodations in the city can be a bit dingy when on a budget, checking out a place outside of St. Louis is perfect for your stay! The Hawthorn Suites by Wyndham in Westport Plaza are in a good location. But if you prefer to downtown check out a local Airbnb! Wisconsin has lots of budget-friendly adventures, but the big city of Milwaukee is our top pick. Milwaukee is the perfect sized city where there a plant of things to do, but it still has a small town feel. Here is how to do Brewcity on a budget. If you are a music lover you need to visit Milwaukee during Summerfest where you can see 11 stages of live music for only $21. Another must while in Milwaukee is to take a brewery tour, and for only $5-$10 you’ll have than enough beer. 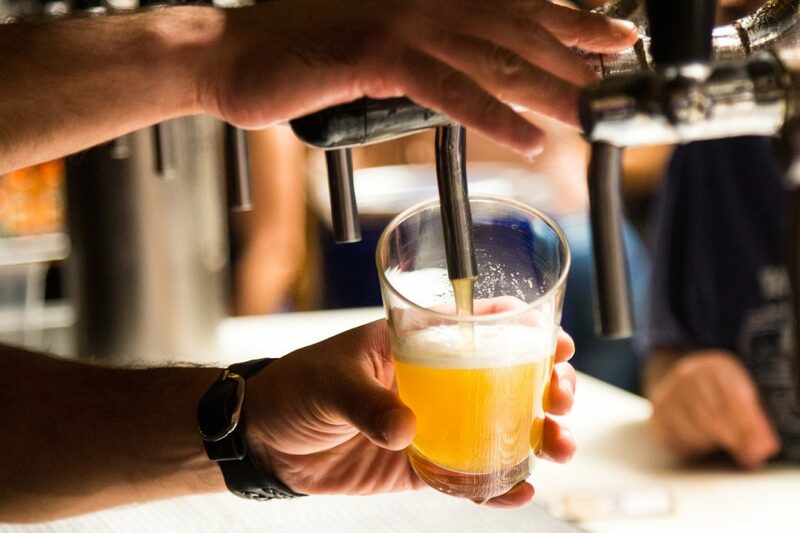 Milwaukee was once the world’s largest producer of beer in the world, now microbreweries are keeping the traditions alive and most offer a tour, we suggest MKE Brewing or Lakefront Brewing for the best tour. Another claim to fame Milwaukee has is that it is home to the world’s oldest bowling lanes. Try a few frames at the Holler House for some inexpensive entertainment and watch how the still set their pins by hand. Being the dairy state you can’t leave Wisconsin without trying a few unique treats like frozen custard ($3-$5) from Kopp’s Frozen Custard. You need to have some deep Fried cheese curds ($5-$7) in your life from The Milwaukee Ale House. Last but not least head to Sobelman’s for their meal of a Bloody Mary complete with a cheeseburger ($11) which is a Milwaukee classic. One of the largest cities in the United States, Chicago, Illinois, really has something for every traveler during their Midwest road trips. Famed for a skyline dotted with tall skyscrapers, this city is just as impressive from every angle. Whether a fan of architecture, shopping, food, culture, sports, museums, music, beaches, parks or outdoor activities, Chicago is sure to please. It is a special gem of a city with so many things to do and is easy to navigate by foot or public transportation. 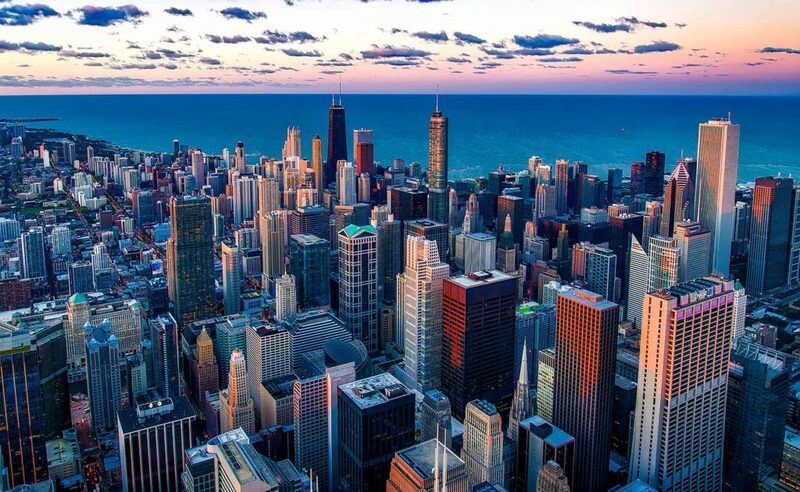 Although Chicago can be expensive compared to smaller cities in the US, it is surprisingly easy to visit on a budget. There are many cheap or free things to do in Chicago – in fact, two of the most popular tourist attractions (Millennium Park and Navy Pier) are free. I recommend visiting Millennium Park, the number one tourist attraction in Chicago and completely free. Take photos of yourself at Cloud Gate (a mirrored sculpture nicknamed The Bean), to remember your trip to Chicago. Another free activity is to spend time on Chicago’s lakefront and one of its many beaches. In the summer and weekends, the lakefront and beaches are packed with locals and visitors hanging out or running, biking, walking along the lakefront trail. Visitors on a budget should also spend some time at the Chicago Riverwalk, a pedestrian walkway along the Chicago River and a great spot to enjoy downtown Chicago and the impressive architecture and buildings along the river. You can stroll, jog, or take a seat on the stairs or benches for free to people watch and enjoy the beautiful scenery. Chicago is a food mecca but if you are on a budget you cannot go wrong with two affordable Chicago classics – deep dish pizza and a Chicago-style hot dog. One of the best places to try deep dish pizza is Lou Malnati’s (under $10 for a personal pizza). Grab a Chicago-style hot dog (no ketchup allowed) for lunch at Portillo’s – prices start at under $4. I’m going to suggest a visit to Sandusky, Ohio for your to-do list this year while planning your Midwest road trips! This is found in the north of Ohio, on the shore of Lake Erie. 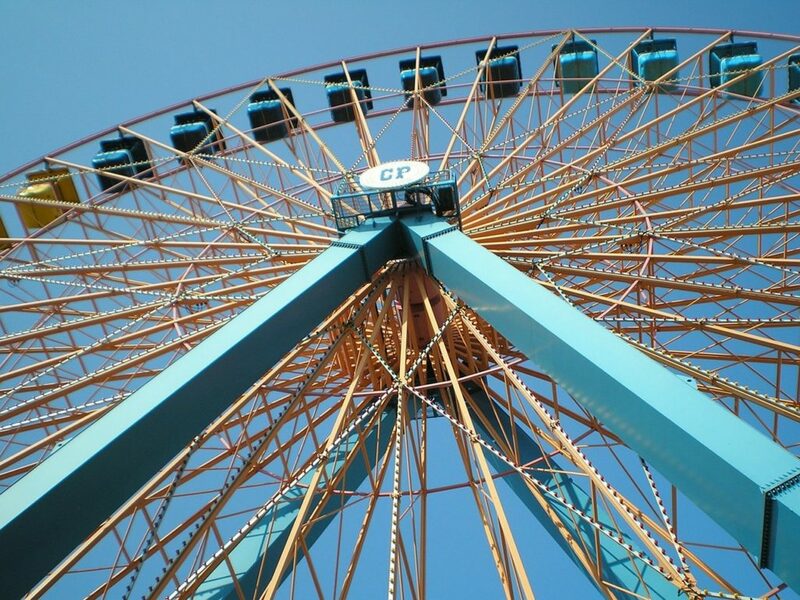 Three activities you’ll want to do in Sandusky are to visit Cedar Point. explore old Sandusky, and take a trip out to the Lake Erie Islands. Cedar Point is one of the world’s best theme parks, and for 2018 you can get tickets for $45 if you book in advance (always check the website for deals!). It’s best to get here by public transport from nearby Sandusky, as the on-site parking is quite expensive at $20 for the day. Bringing your own snacks is another way to save money. The Lake Erie Islands are a series of beautiful islands a short ferry ride (around $34 round trip) from Sandusky. You can visit a few of these islands – we’d recommend either Kelley’s Island for those who enjoy nature and relaxation, or Put-In-Bay if you’re more of a party person. Both islands are beautiful and well worth the visit. When you’re on the islands don’t forget to try the local specialty – fried yellow perch, usually priced from $10 – $18, and available at nearly all the restaurants on the islands. Check out Captain’s Corner or the Village Pump for good food at reasonable prices. Finally, Sandusky itself is a pretty town with a lovely historical center and plenty to see and do, from the merry-go-round museum to shops and dining. We’d recommend the Dockside cafe for good value dining. Sandusky has a lot of good accommodation options, but don’t be afraid to look a little out of town for accommodation if you can’t find anything in town. 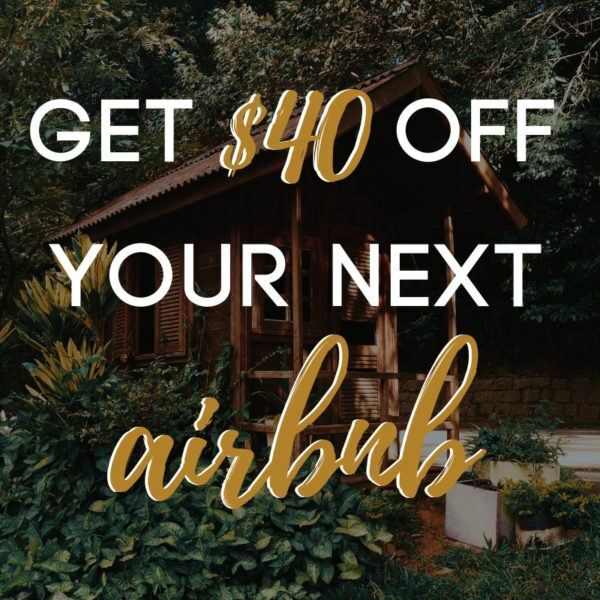 Expect to spend between $50 and $150 a night for two people sharing either an AirBnB or a reasonable hotel like the Sleep Inn for $75 a night. Are you ready to see why the Midwest is best?! Liked this article? Click and pin!